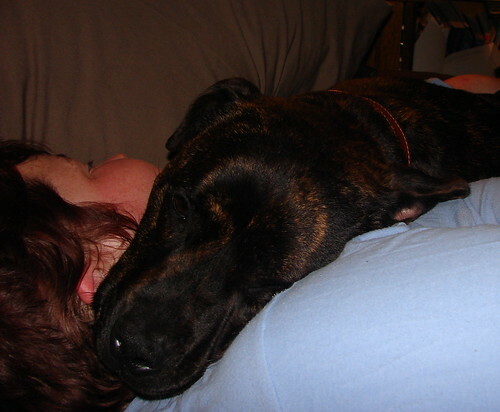 When I went to bed on Sunday night Clara climbed up beside me and demanded cuddles. Her bed is in the other half of the rumpus room which has been converted into our bedroom and a gym area and is divided by bookshelves so there’s no door on our bedroom as such. When I told her to go to her own bed she made it perfectly clear that she had other plans. Mind you, because she is not only a great big sook but also an extremely well behaved puppy she didn’t persist with this and did go obediently to her own bed…after being hugged thoroughly.